The coefficient describing an opening of the lower jaw. The figure below shows a face geometry (see ARSCNFaceGeometry) in two states, demonstrating values of 0.0 and 1.0 for this coefficient. In both states, the values for all other ARBlendShapeLocation coefficients are set to 0.0. The coefficient describing forward movement of the lower jaw. The coefficient describing leftward movement of the lower jaw. The coefficient describing rightward movement of the lower jaw. The coefficient describing closure of the lips independent of jaw position. The coefficient describing contraction of both lips into an open shape. The coefficient describing contraction and compression of both closed lips. The coefficient describing leftward movement of both lips together. The coefficient describing rightward movement of both lips together. The coefficient describing upward movement of the left corner of the mouth. The coefficient describing upward movement of the right corner of the mouth. The coefficient describing downward movement of the left corner of the mouth. The coefficient describing downward movement of the right corner of the mouth. The coefficient describing backward movement of the left corner of the mouth. The coefficient describing backward movement of the right corner of the mouth. The coefficient describing leftward movement of the left corner of the mouth. The coefficient describing rightward movement of the left corner of the mouth. The coefficient describing movement of the lower lip toward the inside of the mouth. The coefficient describing movement of the upper lip toward the inside of the mouth. 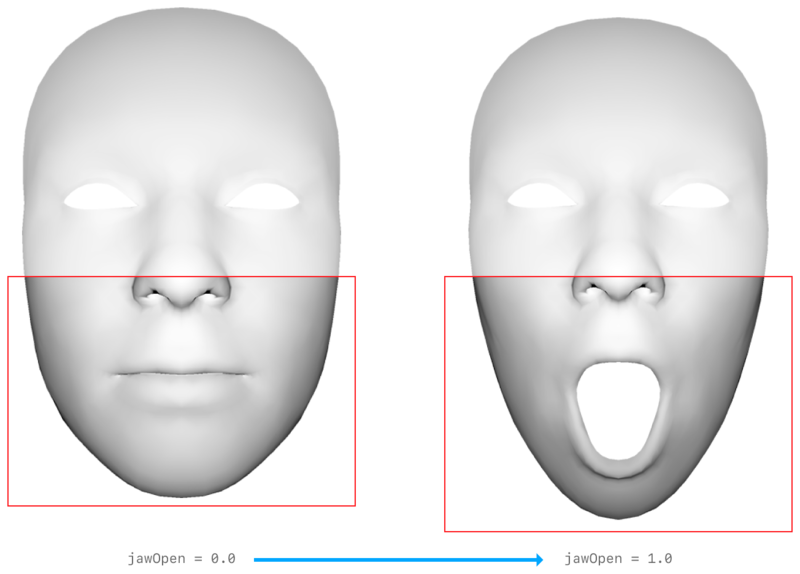 The coefficient describing outward movement of the lower lip. The coefficient describing outward movement of the upper lip. The coefficient describing upward compression of the lower lip on the left side. The coefficient describing upward compression of the lower lip on the right side. The coefficient describing downward movement of the lower lip on the left side. The coefficient describing downward movement of the lower lip on the right side. The coefficient describing upward movement of the upper lip on the left side. The coefficient describing upward movement of the upper lip on the right side.